Ideal for growing your content marketing practice. Up to 10 Users. Great for managing clients and multiple teams. Up to 20 Users. 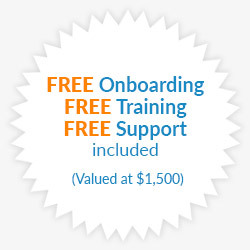 Risk-Free 14-day trial. No credit card required. Perfect for high-volume agencies and large businesses. Unlimited Users. Are you a high volume business in need of an enterprise-level solution? Receive additional discounts and no surprises, flat fee pricing for large teams and annual contracts.